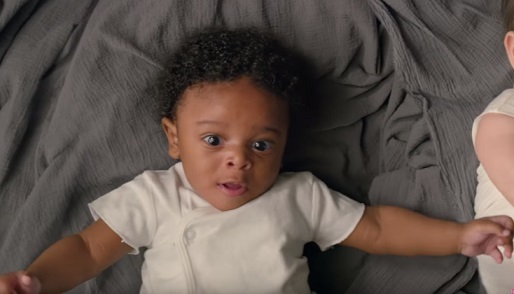 T-Mobile used babies in its Super Bowl LII commercial, which advocates for equal chances, pay equity, liberty, diversity and inclusion. Titled “Little Ones”, the spot features babies of different ethnicities and races, while in the background actress Kerry Washington, who serves as narrator, delivers an empowering message. “Welcome to the world, little ones. Yeah, it is a lot to take in. But you come with open minds and the instinct that we are equal. Some people may see your differences and be threatened by them. But you are unstoppable. You’ll love who you want. You’ll demand fair and equal pay. You will not allow where you come from to dictate where you’re going. You will be heard, not dismissed. You will be connected, not alone.”, she says, adding “Change starts now”. The commercial, soundtracked by a lullaby version of the melody from Nirvana’s 1993 song “All Apologies”, performed by Rockabye Baby!, ends with the onscreen lines “Change Starts Now. Are you With Us?”. Nick Drake, T-Mobile’s executive vice president of marketing and experience, says T-Mobile chose to run just one ad this year, not several as they did on last year’s Super Bowl, because “This single message should stand alone and not be (paired) with anything that was humorous or frivolous or anything less than the importance with which this subject matter should be addressed.”. “I think brands have an important role to play in perpetuating positive messages in the culture.”, he also said.